Western Australian miner Independence Group (IGO) is set to acquire all the issued capital of Australian minerals explorer Sirius Resources in a deal worth approximately $1.8 billion. 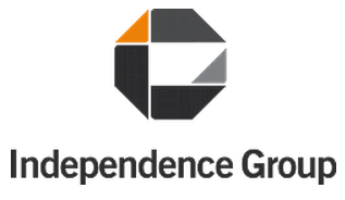 Independence Group’s offer values the aggregate acquisition price of Sirius at A$4.38 per share, which represents a 35% premium to Sirius’ closing share price. According to the joint press release issued last week, the transaction will create a leading diversified Australian mining company with a strong portfolio of high margin / long life mining assets across a range of base and precious metals. The combined entity would be worth approximately $2.7 billion, making it a leading ASX-listed mining company, with significant strategic value and the potential to attract strong global investment interest. “This transaction creates a leading diversified Australian mining company with an outstanding and rapidly growing production profile, a strong balance sheet, and excellent current and future cash flows. It provides an outstanding outcome for all parties,” said IGO Managing Director, Mr Peter Bradford. “The Board and management of Sirius have full confidence in the ability of Mr Peter Bradford and the IGO team to drive the combined company’s projects forward and create significant value for shareholders. The combination of the Sirius development and IGO operational teams, together with their joint exploration experience, will be unrivalled,” said Sirius Managing Director, Dr Mark Bennett. The terms of the agreement will see Sirius undertake a demerger of its Polar Bear and Scandinavian assets, including the Baloo gold deposit, and create a new company – S2 Resources Ltd – which will operate those assets under the leadership of Mr Bennett. “I am also excited about the opportunities available to Sirius shareholders through the creation of S2, the demerged entity which will include the Baloo discovery and the recently acquired exploration assets in Scandinavia. As Managing Director of this new exploration vehicle, I am looking forward to replicating the success of Sirius with our team at S2,” Mr Bennett said. The Boards of both companies have unanimously recommended that shareholders vote in favour of the takeover. “The Boards of IGO and Sirius believe that the combination of the two companies has a clear strategic rationale and will generate significant value for the shareholders of both companies,” reads the statement.